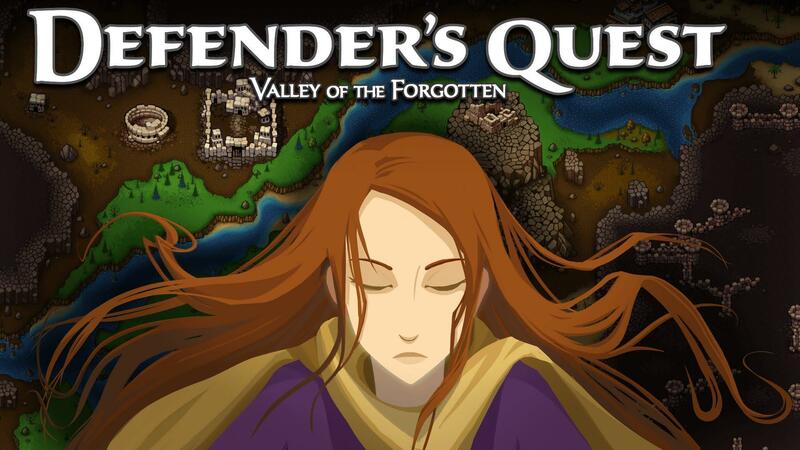 Defender's Quest Deluxe is a brand new upgraded version of the RPG/Tower Defence game Defender's Quest: Valley of the Forgotten that brings lots of new goodies. - HD-capable engine -- no more 800x600 lock! - Haxe/C++ based NATIVE engine -- no more Flash/Adobe AIR! To be honest, this is probably one of the best Tower Defence games available for Linux. Great graphics mixed with great gameplay. Really pleasing to see the Adobe AIR requirement gone with the new engine! Seems to work nicely apart from going fullscreen, a bunch of the graphics seem to vanish for me when I go into fullscreen. I have reported this to the developer. Grab it from Steam and GOG. Great game, i'm playing it again. I think I'm going to have to buy this again to thank the developer, especially because I got it in a Humble Bundle and the development probably did not get a very big cut. This kind of free support for an older game is really rare. Great game too, although I didn't play a lot of it; the low resolution bugged me when I first played it, so now that is fixed I hope to have time to play the whole thing! One of these is caused by the game not being able to properly poll the operating system for the current monitor resolution, which only affects some users (it never happened on my linux box, for instance). This causes it to get 0,0 for the screen size and causes some errors. This is the most serious and we plan on addressing it today with a patch. The second is caused by some texture memory limitations when you try to play the game in very high resolution (particulary 4K, and anything above 1200 vertical pixels). There have been isolated reports this applies to 1080p as well, but I never saw that crop up in testing -- it works perfectly fine for me in 1080p. In any case I have a fix in the works for the second problem too. I might need some help from smart linux people who know what utilities and system calls are at one's disposal, so if you want to help you can pop onto our bug tracker at https://www.github.com/larsiusprime/tdrpg-bugs and weigh in on anything linux related while we try to sort this out ASAP. I've already played it a bit and it's working great! It's very nice to not have to install Adobe Air. Fortunately, I don't have the fullscreen bug. I'm on Arch with the NVidia drivers installed. I wouldn’t say it’s the best TD game I’ve played but I’m always glad to get another one . I would say it's the best TD game I've played and I don't need any other ones. I love the game and genuinely appreciate the work the dev has done on it since release, including this update.